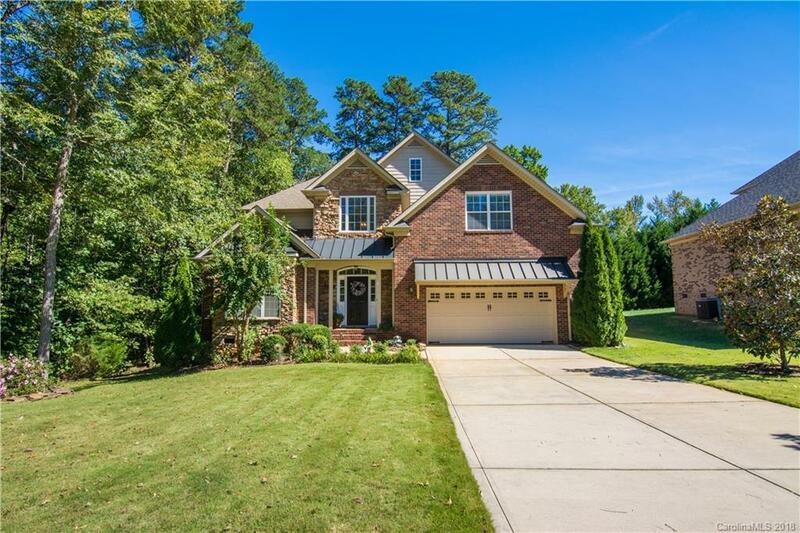 Come check out this beautiful well-landscaped FULL BRICK home in a quiet small neighborhood in Matthews. 5 bedrooms, 3 bathrooms, & a bonus room. It features an open floor plan, arched doorways, two-story foyer, bay windows overlooking the backyard, stone fireplace, and so much more. Kitchen equipped with walk-in pantry, tile backsplash, kitchen island, breakfast bar, recessed lighting, & plenty of cabinets for storage options. Master suite w/ tray ceilings, garden tub, glass shower, and double vanities. Large laundry room. Enjoy the backyard deck, patio, and fenced-in wooded yard for added privacy. Oversized two car garage. UPGRADES INCLUDE: two new HVAC units, new oven/range built-in counter, garbage disposal, dishwasher, & interior paint. No thru traffic in neighborhood and low HOA dues. Easy access to 485 and convenient to shopping and dining options. Check out the Matterport 3D tour.